Karachi, January 28 (Geo News): Nadeem Baloch, 40, pulls out a bucket full of water from the well and fills a utensil for the birds to quench their thirst in the scorching midday heat. His gaze falls upon a deserted view. As the wind blows, dust covers his hair and mustache as he stands in the middle of a cemetery of over 84,000 graves. Unidentified but numbered, most of these graves were prepared by him and his father. Nadeem is the solitary gravedigger in a cemetery of unknowns. For days, weeks, and months, Nadeem has been the lone person sitting in his makeshift shelter in the Edhi graveyard, situated near Mowach Goth on the outskirts of Karachi. Each grave is marked with a wooden chipboard that serves as a tombstone. Every piece of wood contains three markings: a grave number at the top, a date of burial, and a serial number. Among the 84,000 graves, one may see a few cemented graves. They are the ones whose families were able to identify them through pictures, at the time of burial, and their belongings. They replaced the wooden chipboard with a cemented slab that reads name of the deceased. “These are not 84,000 unidentified dead bodies, these are 84,000 riddles,” says the gravedigger. Nadeem says he has prepared graves for mutilated bodies, for terrorists killed in police encounters, and for those who were burnt alive and lost their identities. “I prepare a grave three feet deep, two feet wide and six feet long normally. But whenever we receive a dead body of a drowned person, I have to enlarge the size because the body is swollen,” says the gravedigger. Among the thousands of graves stands a solitary wooden cross. It indicates the deceased was a Christian by religion. The family did not try to perform the last rites and instead replaced the wooden pile with a cross. “Religion does not come in the way of burying unidentified bodies. We do not partition graves of different religions. 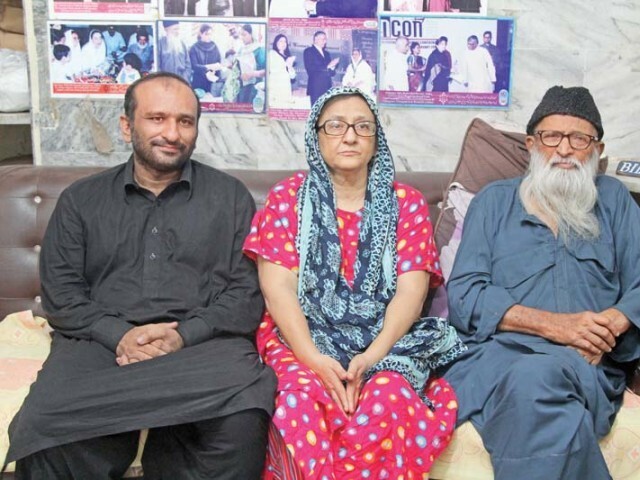 We are all humans and at least after death there should be no discrimination,” says Faisal Edhi, son of the late Abdus Sattar Edhi and head of the Edhi Foundation. “We have buried unidentified bodies of Baldia factory fire tragedy. We received dead bodies of alleged terrorists killed in encounters. Some of them were identifiable but no one dared to come from their families because they thought they would be caught by law enforcement agencies,” says Edhi. “During the time of the Karachi operations in the 1990s and 2013, we received many mutilated bodies from the city and its suburbs. Their families were possibly unaware about their deaths and no one ever came forward. We buried them here,” says Edhi. Edhi says the graveyard for unidentified corpses started in the early 1980s. Since then, the foundation has been maintaining records with the possible identities and pictures of the deceased. There is a whole procedure at the Edhi Foundation if a family or a relative of a departed soul wants to make a claim. They can also hand over the remains of the corpse if the family demands to bury their late member somewhere else. 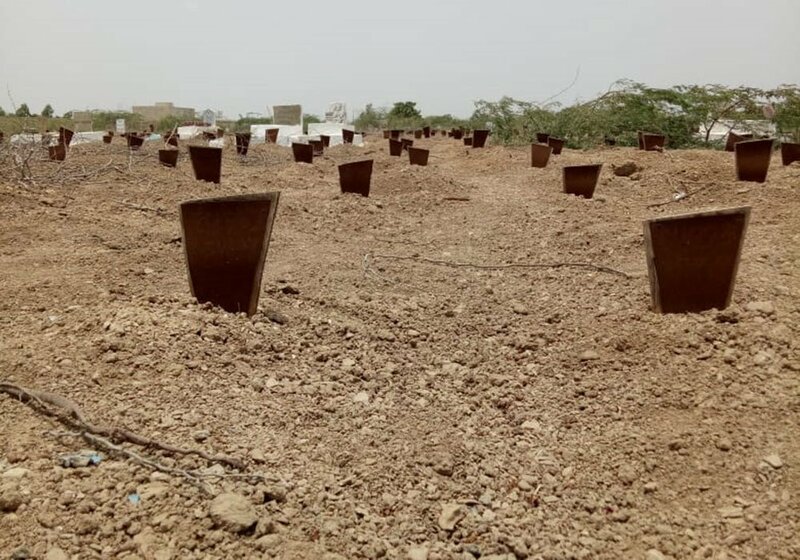 More than 84,000 stories of Karachi’s sons and daughters are buried in the Mowach Goth graveyard, where the departed souls still search for their lost identities. They were named at birth but now, beneath the earth, they lie unnamed.